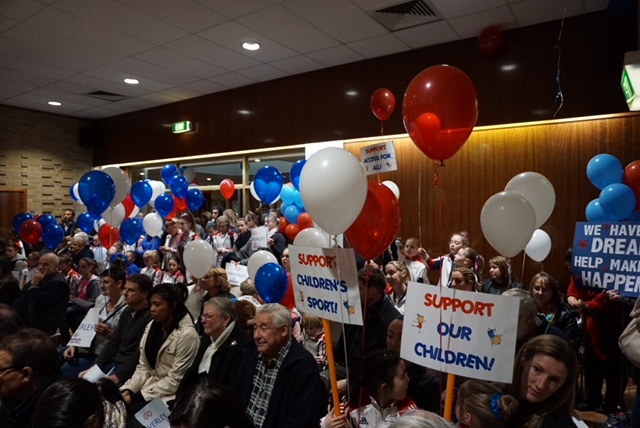 UPDATE Tuesday 27th March: A big THANK YOU to our Monash Councillors for their leadership, vision and ongoing support tonight in voting for the final $3.3 million needed for the Oakleigh project to go ahead (of which $650,000 was for Waverley). What a night!! Thanks to all our members that came along to show their support! The Oakleigh redevelopment is going to be AMAZING!! Friday 23rd March: We need your help! On Tuesday 27th March the Monash Council are deciding whether to invest a final much needed $3.3 million into the Oakleigh Recreation Centre redevelopment (including $650,000 towards our Waverley Gymnastics part of the facilities) to enable the project to go ahead. We urgently need as many members (gymnasts, coaches and families) as possible to attend this final meeting 7.00-8.15pm, to encourage the Councillors to support this project that is so important not just for Waverley, but for the wider Monash community! Thank you in anticipation of your much needed support next Tuesday!